Ow my eye! 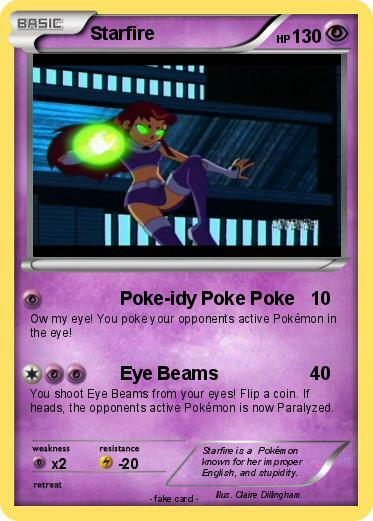 You poke your opponents active Pokémon in the eye! You shoot Eye Beams from your eyes! Flip a coin. If heads, the opponents active Pokémon is now Paralyzed. Comments : Starfire is a Pokémon known for her improper English, and stupidity.